Vacancy as a Decision: How Do Power and Privilege Contribute to Empty Spaces? Vacancy is often viewed as the absence of people, homes, businesses, or cultural amenities within blighted, and often historically neglected, neighborhoods. In our desire to find solutions to vacancy, we decide to fill the empty space with affordable housing, urban farms, and art installations, with the idea of place-making and activating space. For a moment, I ask you to focus on the notion of we decide. Who are we? What power and privilege allowed us the opportunity to decide? And as a journal of architects, who—in terms of diversity of thought, race, gender, income, ethnicity, religion, etc.—is missing from these decisions? Let’s begin with the notion that vacancy is common in American cities as people, money, and jobs move between municipalities, regions, and states. Those with financial means often move, or vote with their feet, to new neighborhoods based on their personal preferences and ingrained perceptions. As a result, vacancy is rooted in the perceptions of people and then of neighborhoods. Those perceptions influence the location of jobs, housing, transportation, schools, restaurants, grocers, retailers, and arts venues, such as galleries and performance space. These observations take us back to the concept of power. The opportunity to decide to move based on personal preferences is a privilege that can result in empty space. The mobility of more privileged individuals can expose the neighborhoods and residents left behind to blight, empty lots, food deserts, closed schools, inadequate transportation, and the list could go on. Over time, vacant neighborhoods become home to the most vulnerable and politically powerless residents by income, race, and immigration status. So while vacancy is pervasive in the cycle of cities, to truly support vulnerable communities, we must consider how we use our power to work with neighborhoods on solutions that revive communities. We can look to national and local examples of how cities, non-profits, and community leaders are offering solutions to the issues surrounding vacancy, often seen as blight, crime, or perceptions of safety. The City of Memphis established the Memphis Neighborhood Blight Elimination Charter to address abandoned properties as population declined. The charter launched ongoing efforts to coordinate code enforcement across city and county departments[LJ1] , increase publicly available data, and encourage rehabilitation of vacant properties through partnerships with community organizations. In Ohio, the Cleveland Urban Design Collaborative established Pop Up City, a program exploring “ideas for urban reinvention through temporary interventions.” A project in the heart of Cleveland transformed an underused parking deck into a performance space and downtown destination through collaboration with property owners, urban designers, and arts groups. 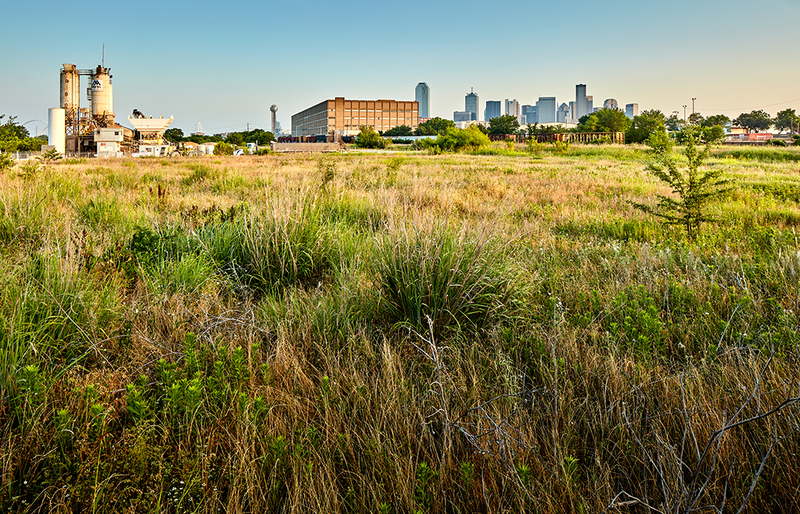 In Dallas, Golden SEEDS Foundation serves the Bottom neighborhood, a community near downtown Dallas with over 60 percent vacant lots. Golden SEEDS is building partnerships to develop affordable housing, pilot inclusive growth, and provide community empowerment opportunities for families. In their own way, these initiatives in Memphis, Cleveland, and Dallas offer practical, creative solutions to vacancy, often requiring myriad stakeholders to take part in improving communities. At the same time, without knowing key players and nuances, it’s hard to understand the history and relationships that triggered the problems in the first place. To address vacancy, we must contextualize the causes to be able to provide sustainable solutions. After we understand the context, we can build the trust and relationships to solve pervasive problems. Given that, we turn to our own city, Dallas, Texas. 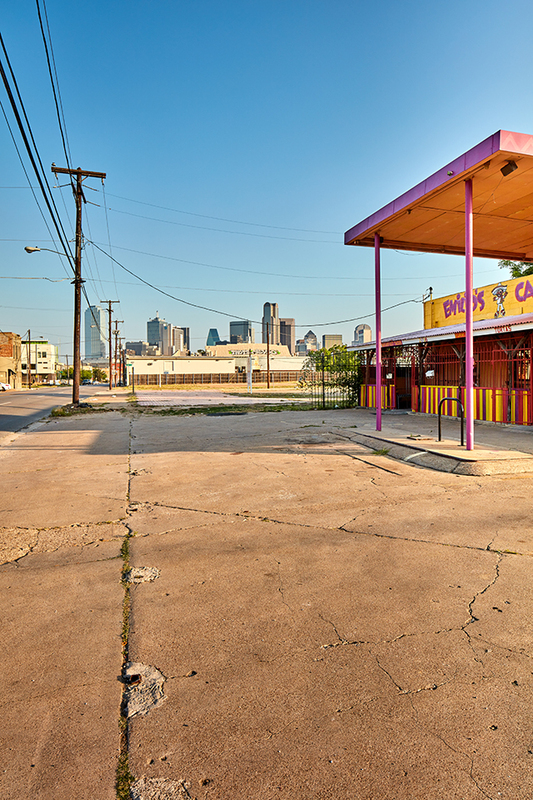 The history of the Dallas neighborhood of South Dallas/Fair Park elucidates how vacancy reflects power in our society. Prior to 1920, South Dallas/Fair Park was a thriving Jewish community with mansions on Park Row and South Boulevard and family-owned businesses along what is now Martin Luther King Jr. Boulevard. After World War II, Dallas, like many cities, experienced population shifts as soldiers came home and moved north to neighborhoods like Preston Hollow. Government-backed FHA mortgages made it affordable for primarily non-minority veterans to move to what were seen as areas with better opportunities, leaving South Dallas behind. Transportation decisions like the construction of Julius Schepps Freeway, or Interstate 45, only exacerbated the issue by tearing through the Fair Park neighborhood. As Jewish families migrated north and left behind vacant homes and businesses, African-American families began to populate the community. Even as African-Americans decided to move to this more opportunity-rich area, they were unwelcome and even faced bombings throughout the 1950s. Although not pleasant, this history demonstrates the reality of a neighborhood where Jewish families had the resources and opportunities — the privilege of mobility — to vote with their feet and move away. With housing segregation, limited financial resources and other systemic hardships, African-American families did not have that same opportunity. For Dallas, this history is not isolated to South Dallas. Dallas’ Uptown and Victory Park neighborhoods still retain remnants of Little Mexico, a once-thriving business hub for Mexican and Jewish immigrants. Other parts of Uptown were previously known as North Dallas, a historic freedman’s town and likened to a Black Wall Street. Fast-forward to today’s South Dallas/Fair Park neighborhood, and there lies a community that has struggled to thrive as it did in its prewar years. The median household income is $26,000, 35% of the nearly 15,000 residents live below the poverty level, and 20% of the area’s housing units are vacant, according to the 2012-2016 American Community Survey. With these challenges, groups both inside and outside the neighborhood seek to address the pervasive issues of blight and empty lots, inaccessibility to healthy food, and limited arts amenities. Local development organizations like SouthFair Community Development Corporation and South Dallas/Fair Park Innercity Community Development Corporation (ICDC) are taking on vacancy through developing affordable housing on city-owned properties. 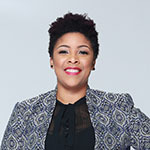 Community-based groups such as Advocates for Community Transformation (ACT) and UNT Dallas College of Law’s Community Lawyering Centers are helping to provide the legal expertise as property owners fight against absentee landlords, disruptive property uses, and problematic ownership transfers. Community development organizations like Frazier Revitalization Inc. are supporting pop-up markets, like Bertrand Market, to revive underused streets and strengthen small businesses. Grassroots organizations such as Nella Roots Gardening, led by Clarice Criss, are using empty lots to promote urban agriculture, bringing education and healthy food options to the community. Though each organization is unique, the leaders all use a collaborative, community-driven approach to address vacancy. While not all are from the South Dallas/Fair Park neighborhood, they nevertheless show residents how to gain the power and access to decide what happens in the empty spaces of their own communities. This work is accomplished through first building true relationships and listening to residents’ ideas. Outsiders must acknowledge the need to establish trust, which means acknowledging a community’s assets. Where there are empty lots, there also might be neighborhood block parties or local artists who create a sense of place and history for those living there. Leaders must drop any idea of swooping in for the short term as saviors but rather forge relationships for the long-term advocacy of people and neighborhoods. In serving South Dallas/Fair Park, these non-profit organizations make residents the visionaries for their own neighborhoods. The vacancy that once dragged down the community’s quality of life can now become an opportunity for residents to reimagine their street, block, and neighborhood. As practitioners, we seek solutions that will improve our city. In that process, let’s remove the notion of vacancy as an opportunity to implement our ideas. Let’s stop coming to blighted neighborhoods and spewing frustration as to why “they” haven’t fixed the area. For many reading this article, your power, privilege, and personal preferences have prompted you not to live there, reflecting a decision and further contributing to empty spaces. My goal is not to blame but to cause each of us to pause and be mindful of how our decisions have a direct impact on other communities and how our desire to help is framed by these decisions. As we all seek to improve Dallas, with hopefully a heightened insight into our power, let’s use our resources and ideas to transfer power to the residents and support their vision to address vacancy.